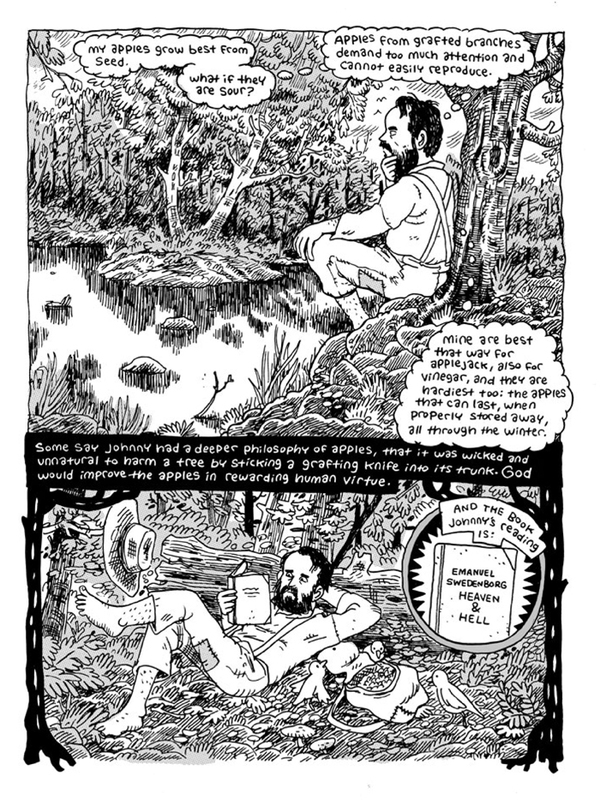 Paul Buhle and Noah Van Sciver explore the historical John Chapman, better known as Johnny Appleseed, in a new graphic novel due out this fall. The popular image of Johnny Appleseed is a sort of crazy guy who promoted healthy eating by planting apple trees and went around with a pot on his head. But there’s a lot more to him than that, and this fall (just in time for apple season! 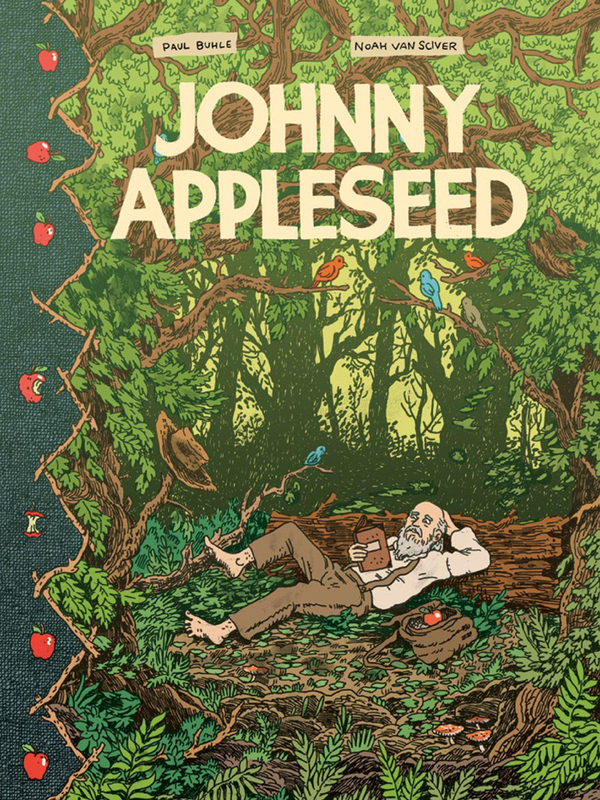 ), Alternative Press will be publishing Paul Buhle and Noah Van Sciver’s Johnny Appleseed. There’s a preview at their site, and Study Group Comics has an even more generous preview that’s well worth a look: It goes into the history of Swedenborgianism, the religion that was John Chapman’s real motivation for criss-crossing the country planting apple trees. Chapman is the perfect subject for Noah Van Sciver, as he seems to excel in drawing driven outsider types. You might want to check out his bio of the young Abraham Lincoln, >The Hypo, as a warm-up. Johnny Appleseed will be out in October. We’re just putting a taste of the preview here—go to Study Group Comics and check out the whole thing! Ace stuff, my man. I will sent you some poems when I get back to New York around mid-October, 2016.